The recently refurbished London Town Hotel is just a short walk away from the Earls Court Exhibition Centres and within easy reach of Olympia. All of the 32 bedrooms have ensuite bathroom, shower and WC, television, direct dial telephone and hair hair dryer. There is a lounge and bar on the first floor landing, overlooking private gardens. 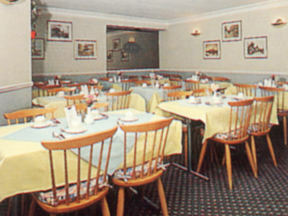 Continental breakfast is served in the breakfast room and English breakfast is available, on request, at an extra charge. 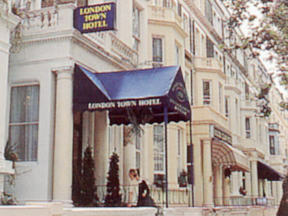 The London Town Hotel has a number of amenities available for its guests. You are welcome to make use of them when you come and stay with us. A Single room with 1 bed, sleeps a maximum of 1. There are 6 rooms available. Twin: A Twin room with 2 beds, sleeps a maximum of 2. There are 13 rooms available. Triple: A Single room with 3 beds, sleeps a maximum of 3. There are 5 rooms available. 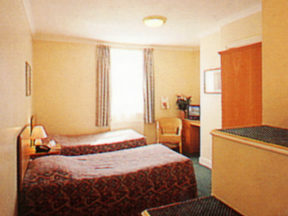 Double: A Single room with 1 bed, sleeps a maximum of 2. There are 7 rooms available. En-suite bathroom, TV, telephone and hair dryer.